Simply JSON based crops. No fluff, no problems. Using only 2 block IDs and 5 item IDs, Resourceful Crops provides a fully customizable alternative to other resource crop mods. Some textures are borrowed from Painterly. You can find documentation on how to customize your experience here. You can use this mod in any pack on any launcher. I only ask that you do not place any of the content behind a paywall. Maybe someone knows? seems to work with meta data on minecraft skulls just fine. lol, the 1.11 version had only 80 downloads, however it's useful to me so I'll get it, I'll probably make some custom resources for myself to make it a little prettier, I love customization stuffs, so like thanks. Not a bug, the feature was removed. I would suggest using https://minecraft.curseforge.com/projects/simpleharvest and configuring it to support the RCrops plants. if there is any way to do this with configuring the JSON file or would i have to create a seperate item mod that allows the inky seeds to output as a created item which can then be crafted in this manner? In the 1.11 releases, yes. In the 1.10 releases, no. I need to sit down and rewrite the JSON spec at some point. ok thanks for the info, so for the 1.10 releases currently my only option would be to create an external mod and use that to do this? Correct. Though, to be honest, the current 1.10 release is pretty terrible. I could probably backport the 1.11 version pretty easily, but the entire JSON spec was rewritten and I don't want to break things for those using it. That is because JEI changed the time at which it loads from world join to post initialization. My recipes are added during world join. There you go, check latest 1.10 build. It is exactly the same as 1.11 feature wise. 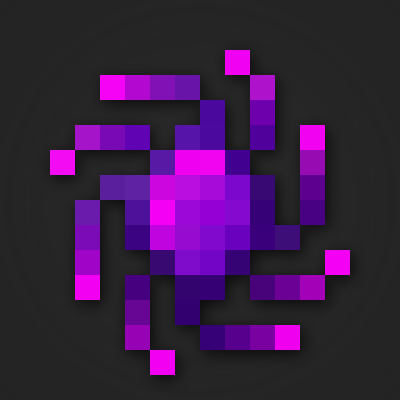 so to do the custom shard recipes for the dye such as i want them to in the seed for my "dye" seed how would i edit the output of the seed to have different outputs based on the crafting recipe? You can add as many outputs as you would like, as that field is an array. ok thanks so what about multiple inputs? like being able to craft the "dye" seed being able to be crafted out of all the primary dye types? For some reason JEI support is not working. I can't see any recipe.